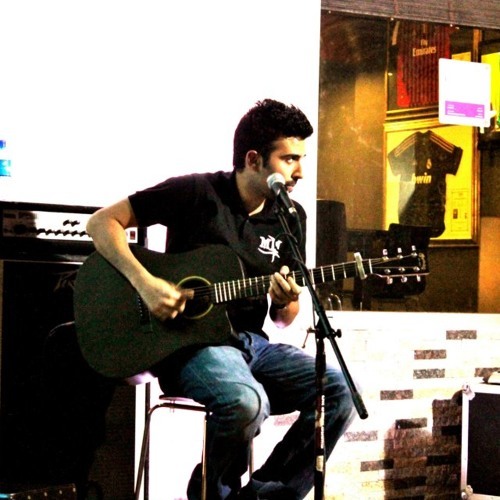 Doctor by day, Musician by night - Hani Malik is not your typical singer-songwriter. With an interest in music at a young age, Malik first picked up a guitar back in 1998, inspired by a friend of his who did the same. He would never have predicted what would be in store for him almost 14 years later.. After fronting a rock band in high-school, playing drums in another, the silly songwriting, the disagreements, the banter, and the band breakups, he'd eventually say goodbye to all that teen angst as he moved on to medical college in Dublin, Ireland in 2003. Here, the same trend of fronting a rock band and playing shows at college events was evident, but it was only in late 2009, almost a year and half after becoming a qualified medical doctor, where his creativity and drive took off as he finally found his forte. This is the year where it all changed, and he decided to take his songwriting a little more seriously. Fast forward to 11-11-2012, and Malik's brainchild and eagerly anticipated debut album - "No Remorse", has finally come to fruition. Self-produced and recorded in his apartment in Ireland, "Dr." Malik provides the vocals, guitars, bass, and drums for this alternative-rock project. One might argue whether Malik is a full-time doctor and part-time musician OR vice versa. However, one thing you can count on - he will prescribe you his melodies.